The reactivation of the unit began in 1972. The Gaspee Days Committee wanted a hometown fife & drum corps in their colonial parade to act as “host corps” and thus the committee raised such a corps. In 1972, the Pawtuxet Rangers Fife & Drum Corps hit the street led by Hoot Hartman. The original charter was reactivated at this time for the corps to operate under. 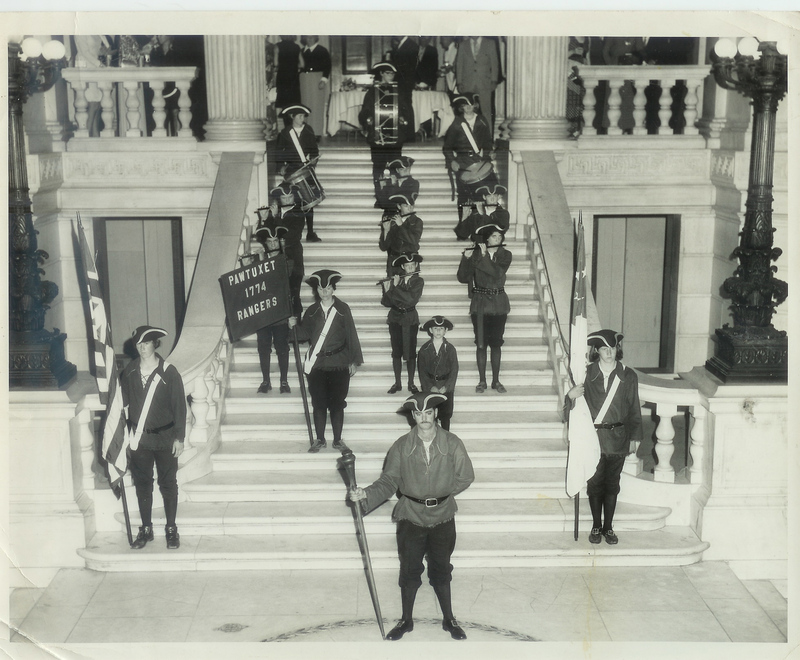 When the nation’s Bi-Centennial celebrations were being planned, many of the chartered commands were re-activated to reenact the life styles of the Colonial soldier, who played such an important part in the history of the United States. 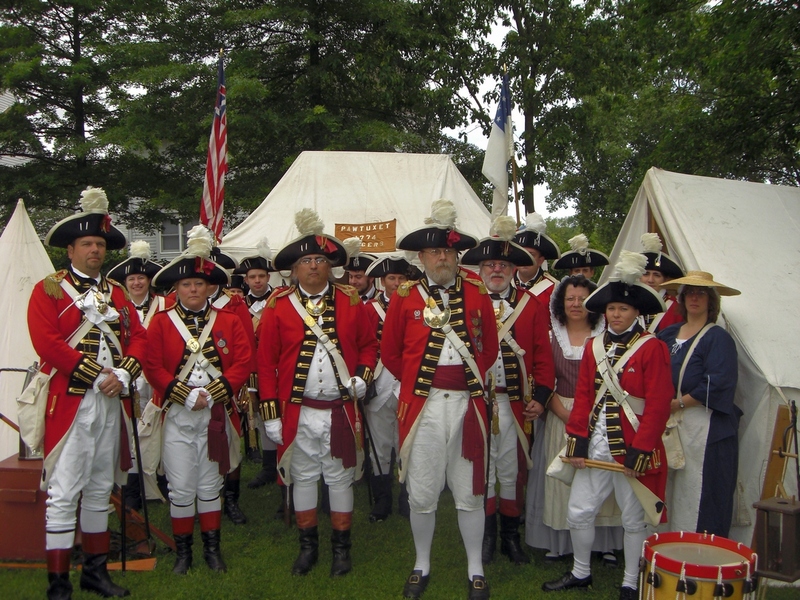 The Pawtuxet Rangers militia company was formed in 1974 and the charter transferred to it. The fife & drum corps was integrated with the militia in 1975. The commander was Col. Robert Lynch who would command the unit for 22 years. In 1985, the last owner of the original armory sold the property back to the Rangers. After extensive renovation and restoration by the Rangers themselves, the armory building was re-dedicated on July 15, 1989 to its original purpose– as an armory and meeting hall for this historic and venerable state-chartered militia unit located in one of New England’s oldest villages. 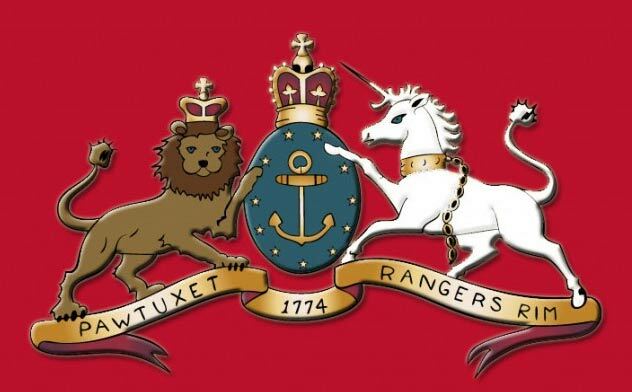 Today the Pawtuxet Rangers are among the oldest existing chartered commands in the country. They still operate under their original charter of 1774. Under the overall command of the Governor as Captain General, and the direct command of the Adjutant General of the Rhode Island National Guard, the Rangers still retain the independent status of their charter while also available on a voluntary basis to assist in certain State functions if so requested. The Pawtuxet Rangers are among the most active of Rhode Island’s militia groups and are one of only four fife and drum corps in the United States that are part of an actual military organization. Today the Company has Militia including color guard, musket line and artillery and a Fife & Drum corps. They are constantly sought for participation in a wide variety of parades and public appearances, including ceremonial State functions, battle reenactments, living history demonstrations, educational visits and speaking engagements. Thanks to local historian Henry A.L. Brown for his knowledge and for his providing access to his compiled information about the Pawtuxet Rangers. This compilation would not have been possible without his assistance.